It was such a pleasure working with Vicky. 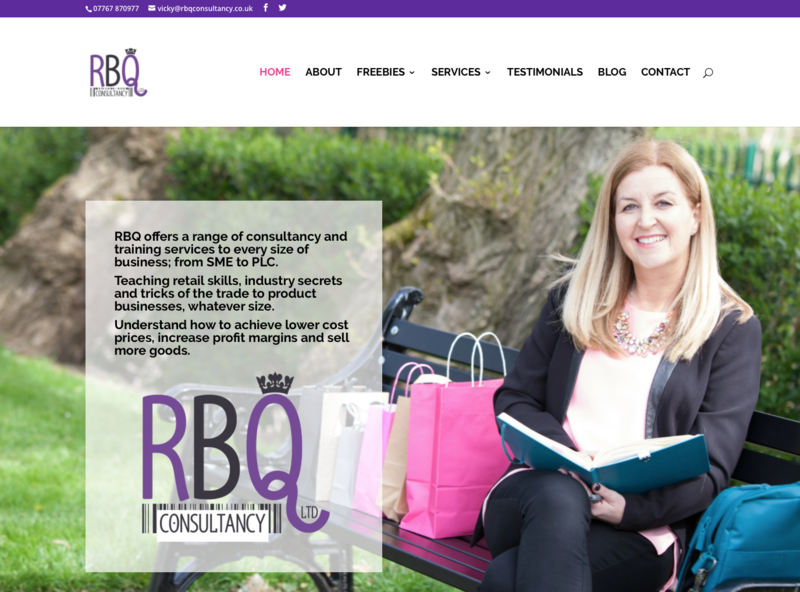 I developed a site with her fabulous new branding to feature her services both to small businesses and the corporate market focusing on the customer journey within the site. She can now also add blogs and update any content for herself and has full control of her own site! I am so pleased with the website designed and built by Naomi. 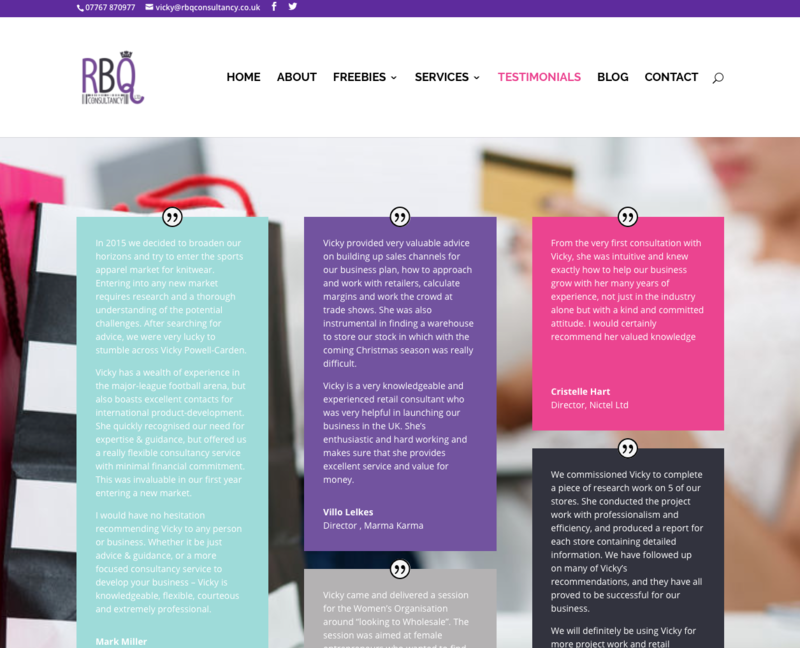 I wanted a website completely different to my last site, and she has given me a site that is gorgeous, bright and vibrant. Naomi has been so patient with me as I initially didn’t know exactly what I wanted, and I am a complete website novice. I’ve received coaching, guidance, advice and training on how to add more to my site, and how to add blogs etc. Instead of being scared of my website, I am now thrilled and enthusiastic to keep adding more content, and it’s a website I’m so proud of. 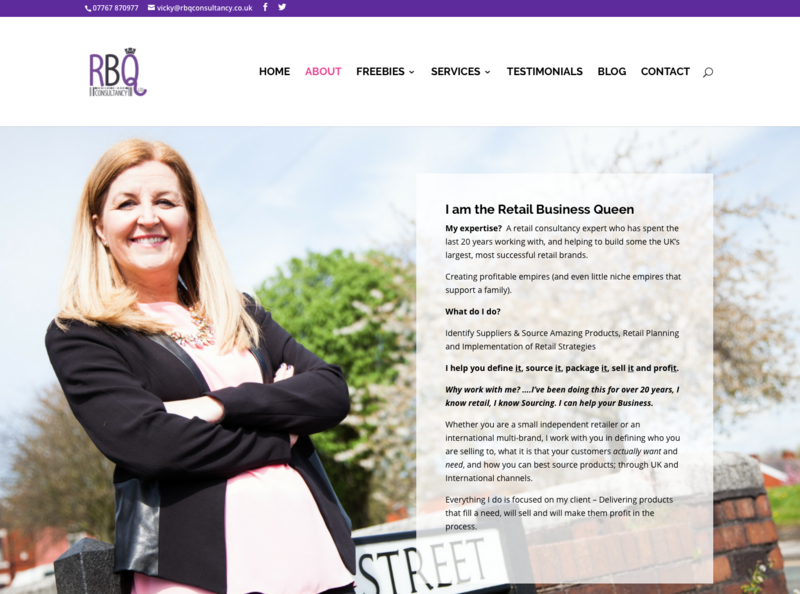 I would definitely recommend the lovely Naomi to work on your website.